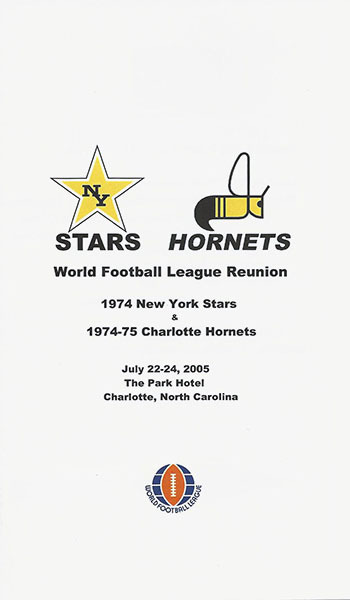 The New York Stars/Charlotte Hornets of the World Football League held their second team reunion on July 22-24, 2005 at The Park Hotel in Charlotte, North Carolina. Players and coaches held a reception Friday evening as Coach Vito "Babe" Parilli gathered his troops in the Rexford Room to share drinks, snacks and memories of gridiron past in a pro football league that had what the NFL did not have: the Action Point, Dickerod (which measures first downs) and the unique Old Gold and Orange stripe WFL football, even though the dye tended to get on their hands. 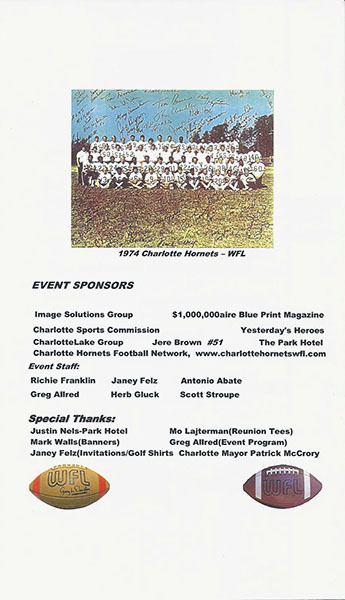 Former Hornets (WBT-1110 AM) radio play by play announcer, Harold Johnson, now of WSOC TV-9, covered the event for their lead sports story on their 6 PM telecast on Friday evening. 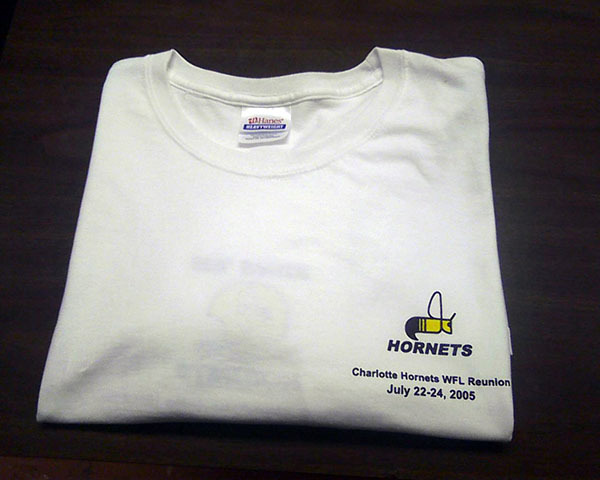 Moses Lajterman, donated t-shirts for the reunion and they were handed out during the Players Reception along with a reunion agenda pamphlet created by Hornets reunion staff member, Greg Allred. 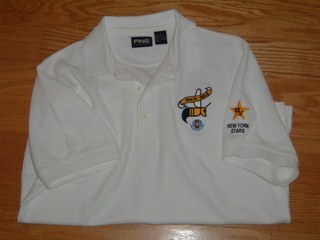 Reunion golf shirts designed by former Hornets cheerleader, Janey Felz were also handed out to all who purchased them. 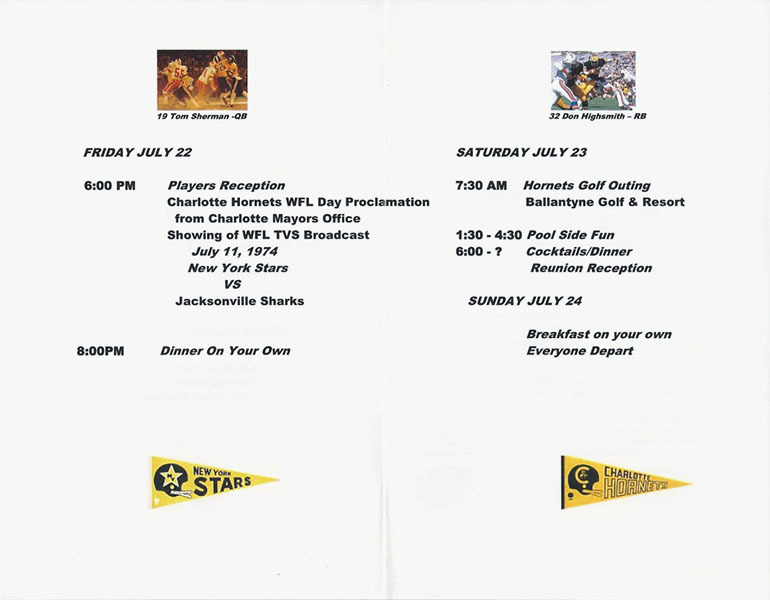 The alumni also enjoyed the evening watching a DVD of the inaugural WFL on TVS Network Game of the Week from July 11, 1974 between the New York Stars and Jacksonville Sharks. 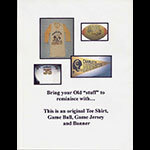 Game films provided by, Tom Sherman, from both the 1974 and 1975 seasons were also shown. 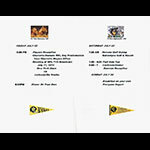 The alumni also met with fans during the Players Reception to take photos and sign autographs. 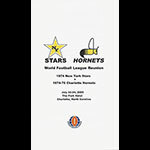 World Football League mini-helmets from the New York Stars and Charlotte Hornets were made available for sale by Hornets reunion staff member, Antonio Abate. The players were also signing mini-helmets for one another. 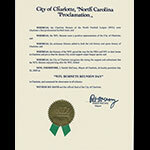 Friday night was topped off with a Proclamation from the Mayors office. 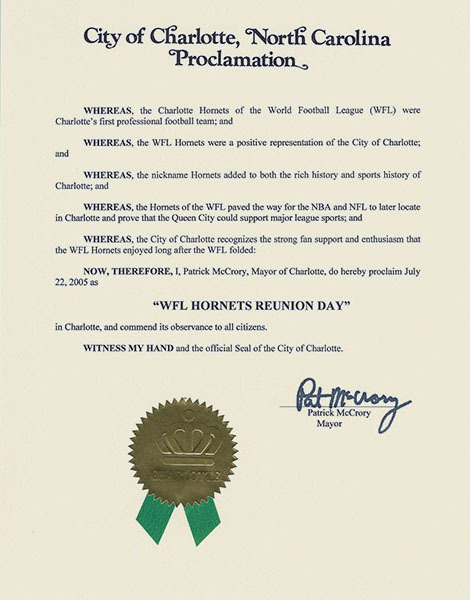 Charlotte Mayor, Pat McCrory, proclaimed the day, "WFL Hornets Reunion Day." Saturday morning several of the alumni went to play golf at Ballantyne Resort. 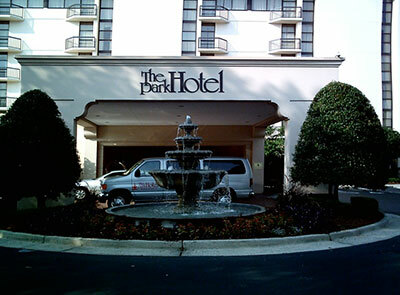 Later during the afternoon the alumni gathered at, The Park Hotel, pool for drinks. At 6 P.M. cocktail hour started and game films were shown. Prior to dinner Coach Babe Parilli asked everyone for a moment of silence for the former Stars/Hornets alumni who are no longer with us. 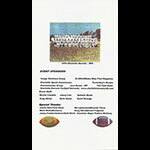 In the memorial segment, the team remembered George Boutselis, Sylvester "Molly" McGee, Ed White, Bob Lambert, Carl Collins Greg Dubinetz, and Jeff Woodcock. 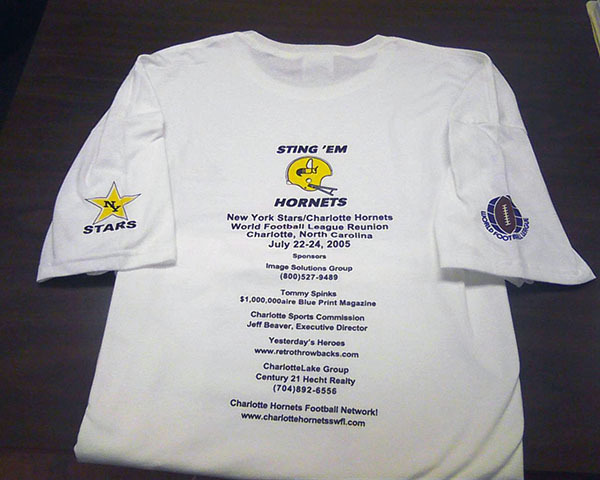 Matt Snorton, who was the color analyst, on the Hornets radio (WBT-AM) network was the scheduled emcee for the Saturday night reunion reception, but had to cancel due to a death in his family. 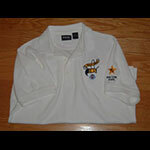 Former Stars/Hornets alumni, Lloyd Voss, was a scheduled attendee, but had to cancel due to health issues. 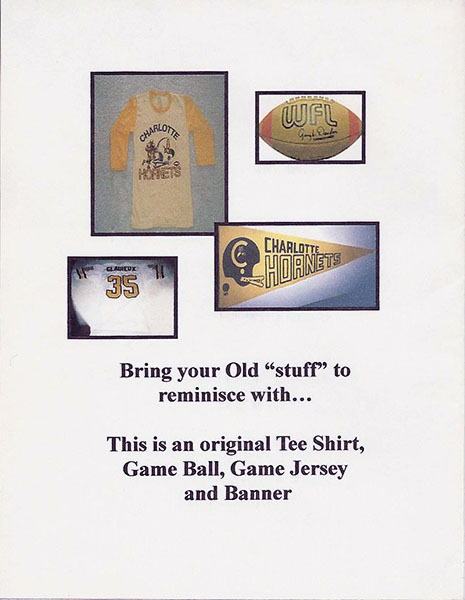 It was suggested by Kent Pederson for the alumni to write a get well note and for all the players to sign. 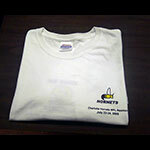 It was mailed to Mr. Voss, shortly after the reunion. 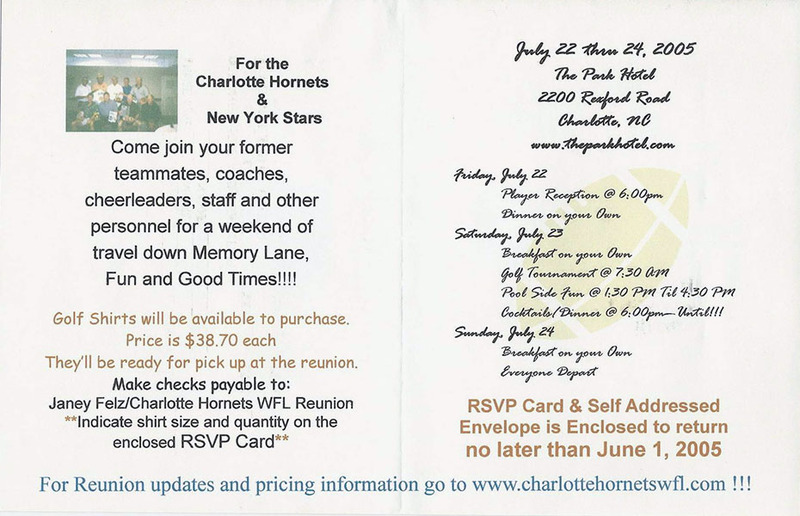 After dinner Coach Parilli told a story from his tenure with the Stars/Hornets and then asked each player and staff member to stand up and speak about their time in New York or Charlotte. 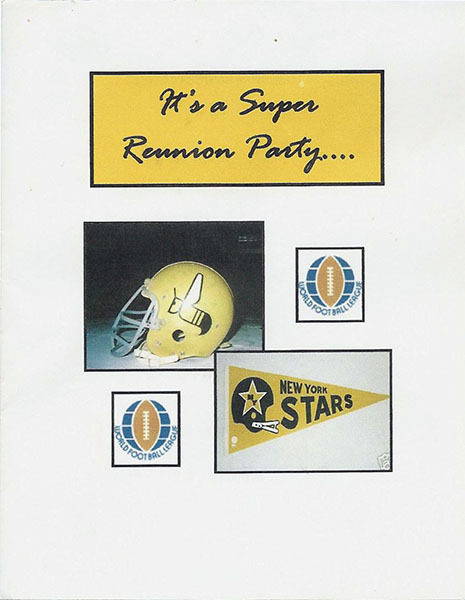 All of the stories were very complimentary about their two seasons in the WFL. Art Reynolds by far had the best stories...and the funniest. 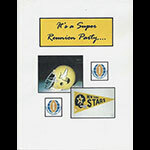 Dana "Eggman" Carpenter was unable to attend, and sent a note of regret. It was read to the alumni by Janey Felz. 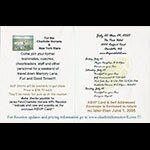 The reunion reception and speeches were videotaped by Al Young and Antonio Abate. 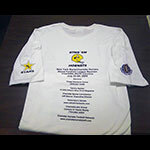 Special Guest: Herb Gluck, Author - "While The Gettin's Good"
© Copyright 1982-2019 Richie Franklin and WFL Films, All Rights Reserved.